INTERESTING STORY ON THIS ONE. 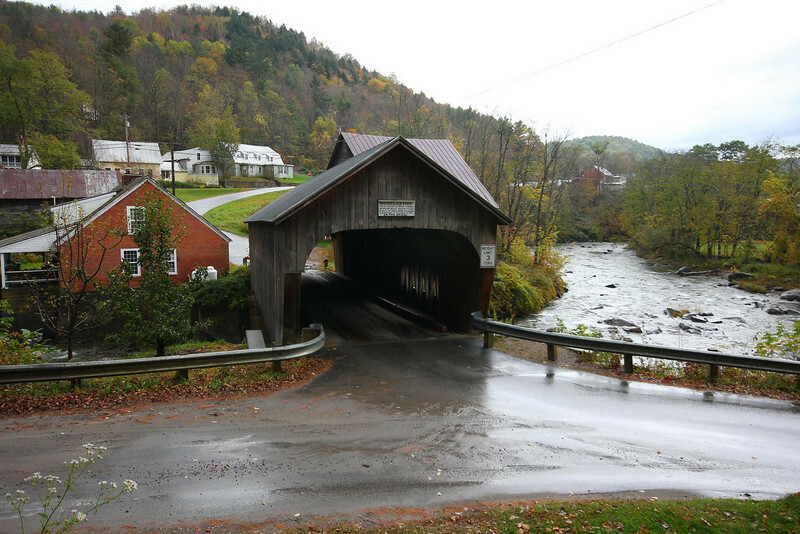 The original Mill Bridge in Tunbridge, Vermont was built here in 1883. It was knocked off its mounts and slowly carried away by a huge ice jam in the rapid spring thaws of 1999. Ironically, the damaged and unrecoverable bridge had to be set ablaze to keep from taking out other historic bridges downstream. This new bridge was built the following year exactly like the old one. I mean EXACTLY-four teams of oxen pulled the new, fully completed 50 ton structure into its final position! At $230,000, the new bridge cost less than the cheapest steel/concrete version, but still quite a bit more than the original bridge, which ran up a tab of $523.32.